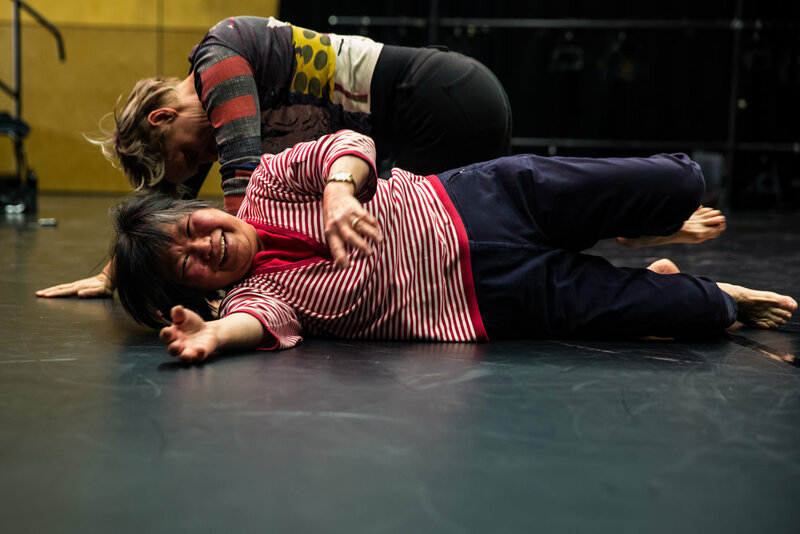 "By making their bodies articulate, the women of MADE expand our notions of how older Australians might live, not simply how they might dance." contemporary dance class at moonah moves festival. photo by sandi sissel. MADE runs dance classes for adults. Join us for contemporary, ballet and improvisation classes led by local, national and internationally recognised dance teachers. MADE creates work to tell stories of our life experiences and challenge audience perceptions of the mature dancer. We have created work with choreographers including Kelly Drummond Cawthon, Angela Strk, Liesel Zink and Graeme Murphy. abandoned dances at junction arts festival/ choreography by kelly drummond cawthon. photo by terence munday. MADE performances feature dancers aged 50 and over. Dancers upskill in MADE classes, rehearse with nationally and internationally recognised choreographers and perform at venues and festivals across Australia including Mona Foma, Ten Days on the Island, Canberra, Brisbane, King Island and Saitama in Japan.